When it comes to accessories, women don’t have the last word. Men, too, need to pay attention to the details to achieve the polished look they desire. 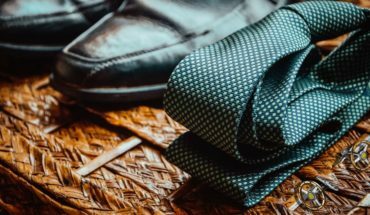 Retailers are slowly catching on to this and offering men more in the way of cuff links, hats, watches, and other accessories. For the fashion-conscious man, experimentation is the best way to find a good look. Cell phones, which also double as a watch, have all but replaced timepieces in the last several years. However, there’s nothing quite like a good old-fashioned watch to complete the look of any clothing choice. The more dedicated men are to fashion, the more watches they should own. This allows them to match their wristwatch to the occasion. For example, a designer watch is ideal for that third interview with the same company or on a date with someone a man is really trying to impress. He is going to want an entirely different look when working out or going out to the club. Having an assortment of watches at home allows guys to choose one just right for the event or situation. When putting the cuff links on, men should align them with the button holes of their shirt and fold them over. The link goes through the button holes and the decorative face should face outwards so people can see it. A lapel or simple pocket accessory like a flower or small handkerchief can help to spruce up any outfit. The pocket should be near the left breastbone and small enough so as not to detract from a man’s overall look. When going to a formal event with a date, having the flower match the color of the date’s outfit is a nice touch. Accessories can be fun for men to wear, but it’s important not to overdo it. A good rule of thumb is to wear no more than one accessory per body part, such as one ring on each hand. With a little common sense and a lot of imagination, men can rock any look just by adding some accessories.